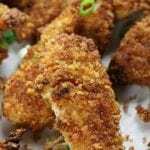 Fried or Baked Crispy Chicken Strips creates moist tender chicken on the inside with an addictively crispy and flavorful coating. 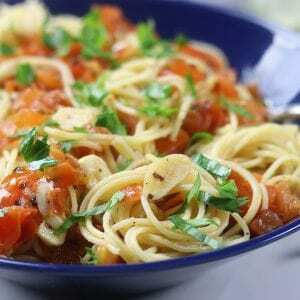 A healthier homemade dinner the whole family will love. I seriously wanted to name these chicken strips Bitchin Chicken. Why you ask? Because my husband renamed this recipe years ago and it always made me smile. I, however, was very worried that I might offend someone so I kept the name practical. But here is the thing, if the name Bitchin Chicken makes you smile than you will also love reading the adventures I shared along with the recipes of Haupia Pie, Mexican Shrimp & Crab Cocktail and Blueberry Basil Chopped Veggie Salad. Sometimes a good laugh along with some great food just makes life a little better. Since buttermilk is slightly acidic, it tenderizes the chicken breasts. Not only does buttermilk tenderize the chicken, but also adding herbs, spices and aromatics helps to create a juicy, well seasoned interior. Buttermilk also adheres to the chicken better when soaked and not just dipped, thereby allowing more of the crust to stick to the chicken. Seen in the first two photographs. This method creates an extra crispy baked crust. Cut chicken breasts into even sized strips and soak in buttermilk for 2-3 hours. Mix together the Panko crust. Dip marinated chicken strips into Panko mixture, turning a few times and pressing the mixture into any bare spots. Add about 1/4 of an inch of oil (this is my favorite healthier oil) to a large frying pan and heat over med/high heat to about 375℉. Make sure to not let the oil become too hot as the outside will burn and the inside will sill be raw. Fry until golden brown on both sides. If cooking multiple batches, keep fried chicken strips warm by placing them in a 250℉ oven until ready to eat but no longer than 20 mins. 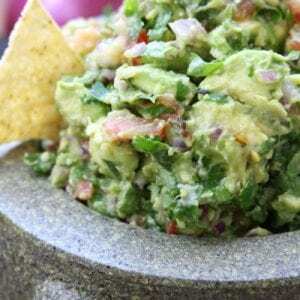 Serve warm with Ranch dressing or ketchup. Seen in the second two photographs. 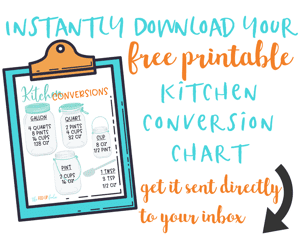 This method is perfect for those trying to keep calories on the lighter side. Place Panko on a cookie sheet and bake in a preheated 400℉ oven for 8 mins (leave oven at this temperature). This step makes for a crispier and more golden browned baked crust. Let Panko cool to room temperature and then mix together crust. Place dipped chicken strips onto a wire rack fitted cookie sheet and bake for 20-25 mins. Why use parmesan in the Panko crust? 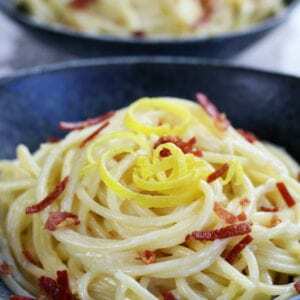 For me personally I love using parmesan in the crust for the extra flavor it brings in addition to the texture created. Also, it helps to lower the carbohydrate level slightly. How do I make these Crispy Chicken Strips spicy? Using 1 teaspoon of chipotle powder in the buttermilk marinade does not make these strips spicy. Rather, it adds an extra layer of flavor. 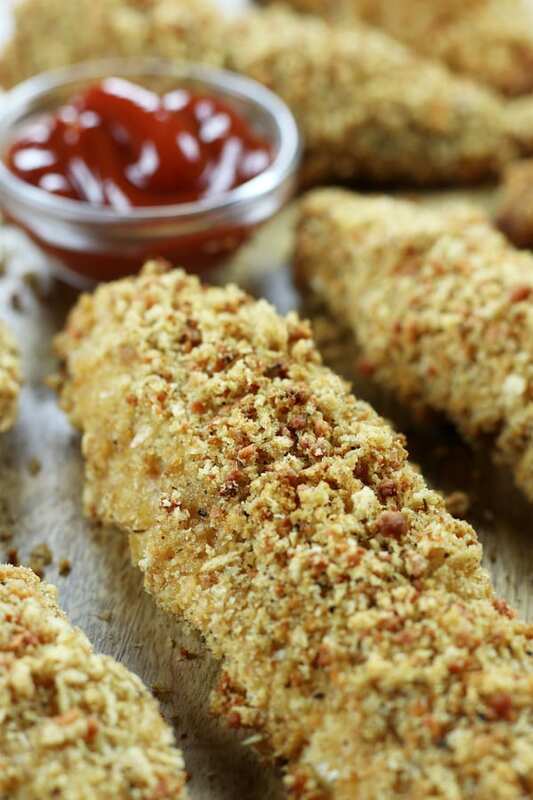 To make spicy Chicken Strips increase to 1 tbsp chipotle powder in the buttermilk marinade and add 1-2 teaspoons of chipotle powder to the Panko mixture. What is the difference between chicken strips, chicken tenders and chicken fingers? The difference between these three can become somewhat confusing. In short, if you are ordering anyone of these three at a restaurant chances are you will receive chicken breasts strips coated and fried. Here in short is the difference between the three. Chicken Strips are chicken breasts that are cut into long strips, breaded and then fried or baked. Chicken Tenders are white meat that tastes exactly like breast meat but comes from the underside of the breast. They tend to be extremely tender already so if using them for this recipe only marinate the tenders for 1 hour. 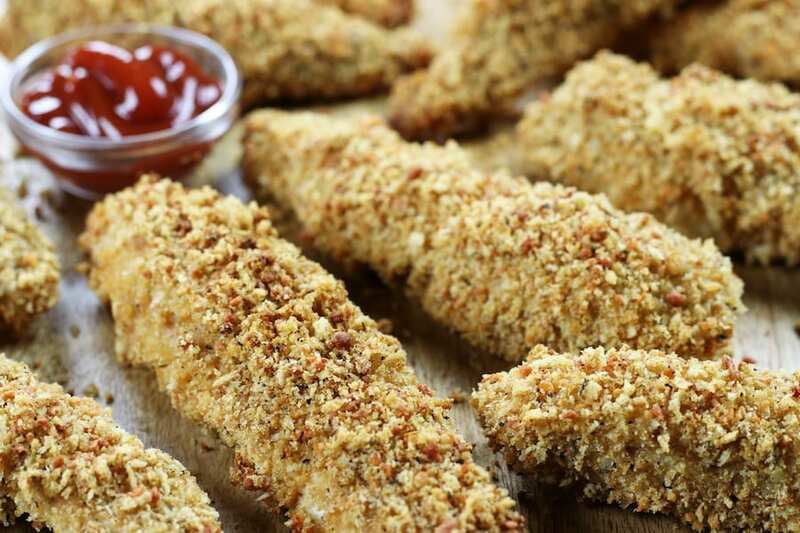 Chicken Fingers are a really fun name that has been applied interchangeably to both Chicken Strips and Chicken Tenders. Chances are if you order Chicken Fingers at a restaurant there is a 50/50 chance that you could be ordering Chicken Tenders. How do I make these Chicken Strips gluten free? 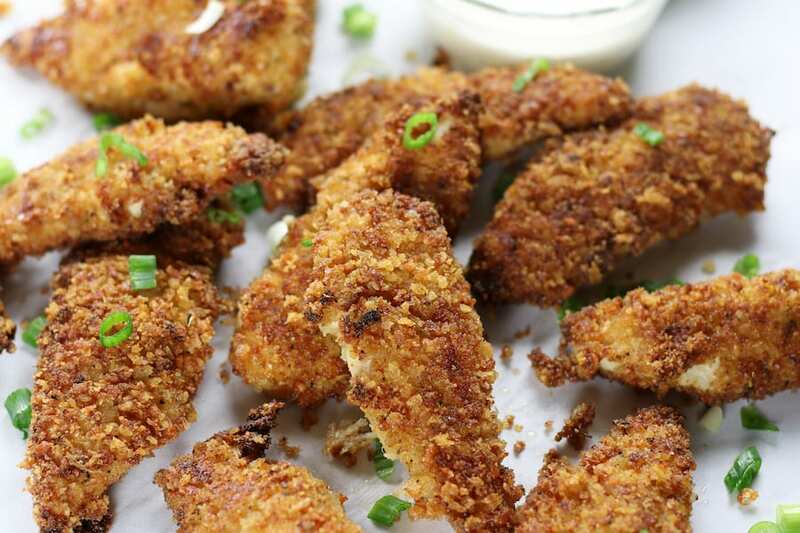 The best way to make gluten free Chicken Strips is to replace the Italian Style Panko used in this recipe with a gluten free Panko. Adding in 1 tbsp dried basil, 1 tsp ground rosemary and 2 tsp dried oregano will give the Panko the Italian Style flavor. What can I serve with these Chicken Fingers? 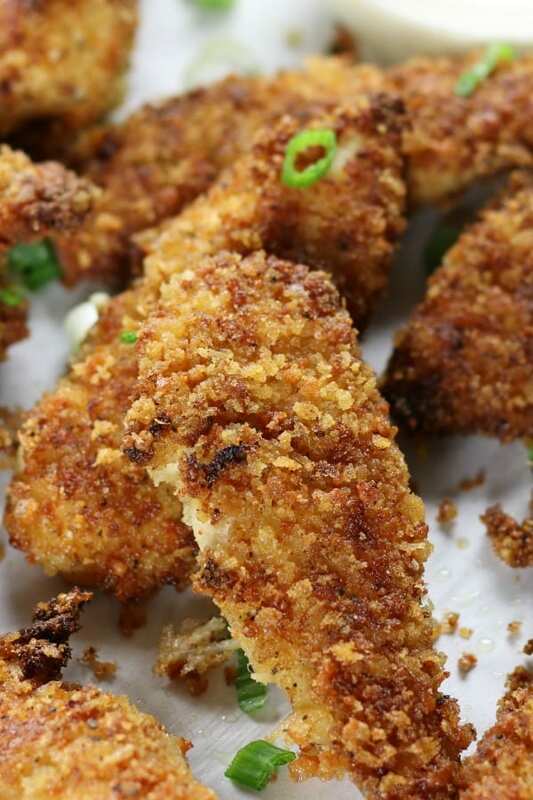 We love having these chicken strips on family nights along with Homemade French Fries, Creamy Ranch Dressing and dipping veggies like broccoli and carrots. Also, it’s fun to eat these on top of a mixed green salad with your favorite dressing. Such a family favorite! Instructions on how to make Crispy Chicken Strips either baked or fried. Both are incredibly flavor and so much fun to eat! Mix together ingredients for marinade. Set aside. Cut chicken breasts into long, evenly sized strips. Lay strips into a large roasting pan (possibly 2 pans) and for marinade over chicken. Stir gently to ensure buttermilk reaches underside of chicken. Mix together Panko coating in a shallow dish or pie pan. Dip chicken strips into Panko mixture, turning a few times and pressing the mixture into any bare spots. Heat a large frying pan over med/high heat and add about 1/4 of an inch of oil. Heat to about 375℉. Make sure the pan does not become too hot as the outside will burn leaving the inside raw. Fry until golden brown on both sides. Chicken strips can be kept warm by placing them in a 250℉ oven until ready to eat but no longer than 20 mins. Place only Panko onto a side cookie sheet and toast in oven for 8 mins or until golden brown. This step will create a crisper crust. Watch carefully as Panko can burn quickly. Let Panko come to room temperature. Add Panko, parmesan and salt to a shallow dish or pie pan. Mix well. Place chicken strips on a wire rack fitted cookie sheet and bake at 400℉ for 20-25 mins. **Internal temperature of both fried and bakes chicken strips should reach 165℉.